Bike, check...trick parts, check...gear, check...and it's all free! 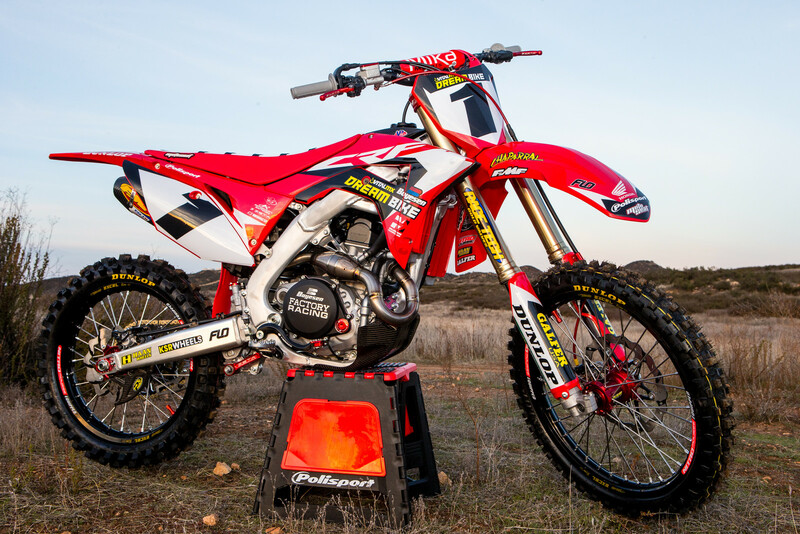 HONDA CRF450R, VALUED AT OVER $20,000! Brought to you by Boyesen Engineering and Honda Powersports. Signup for your chance to win a fully loaded 2018 Honda CRF450R, and also be eligible to win over $2,000 in monthly prizes from the best brands in motocross. 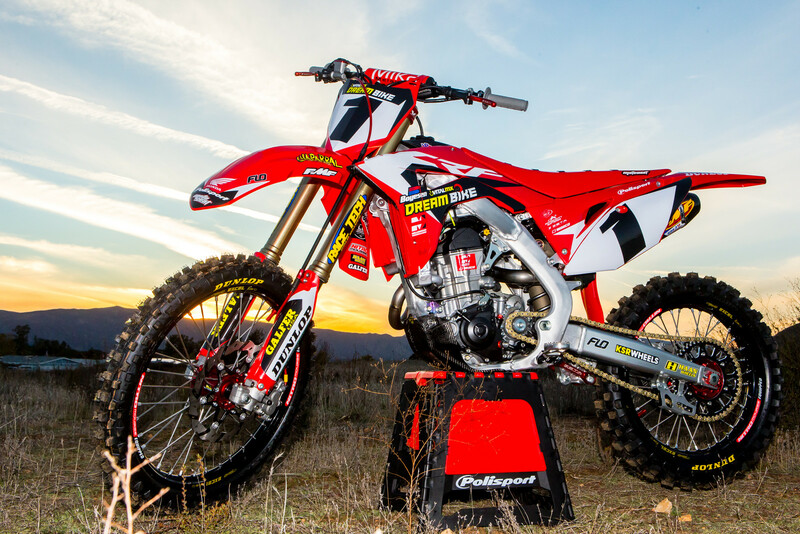 Boyesen and Honda both headline the 2018 Vital MX Dream Bike contest and have collaborated with other powerhouse brands to bring an awesome lineup of prizes directly to YOU each month! Visit http://vitalmxdreambike.com for your chance to win! CUSTOM 2018 HONDA CRF450R (1) WITH ACCESSORIES! The grand prize also includes the brand new 6D ATR-2 helmet, Fox Vue goggles, and an ALiAS gear set of your choice. Where are the monthly winners posted? I don't think they do...I won a few months back and they didn't post my information anywhere. It looks like a great motorcycle for someone to enjoy. I would be honored to have that in my garage. I wont win. I don't like Hondas. I hate red. this bike is a pile. just thought I would take a different approach. The contest article says the grand prize drawing will be held on July 31st 2017. So who won? It's been edited. The grand prize will be selected on July 12th, 2018.